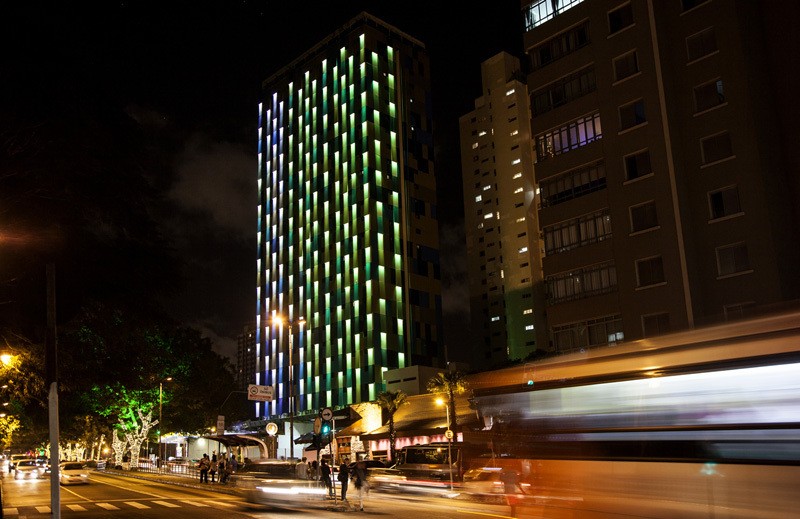 Estudio Guto Requena have recently completed a new facade for for the Hotel WZ Jardins in Sao Paulo, Brazil, that is illuminated at night by interactive light patterns. 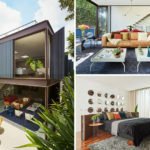 You can watch a video about the facade – here. 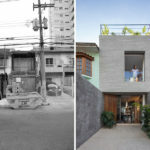 The new facade of the Hotel WZ Jardins is a research project that explores the “Hacked City” and how we can bring positive changes to cities, their public spaces and architecture by plugging in poetic and functional systems that encourage changes in real time that are impromptu, collaborative and affordable. 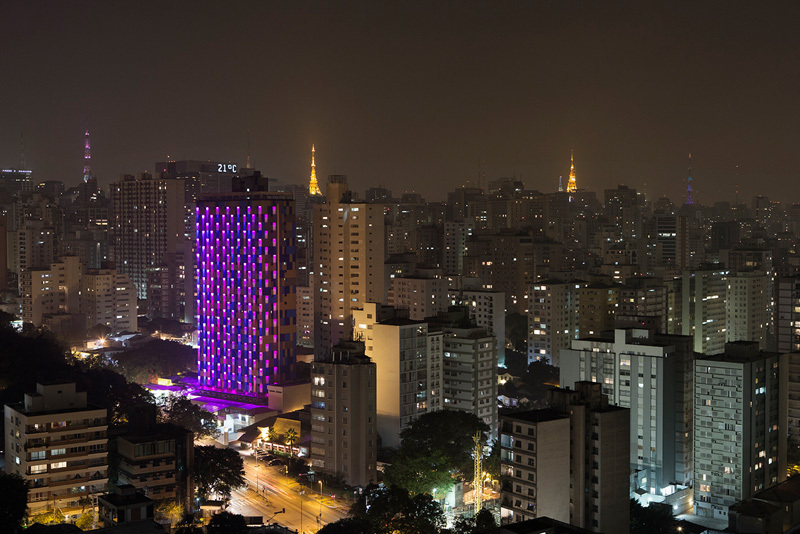 Originally built in the 1970´s, the Hotel WZ Jardins in São Paulo, Brazil, has recently been retrofitted. 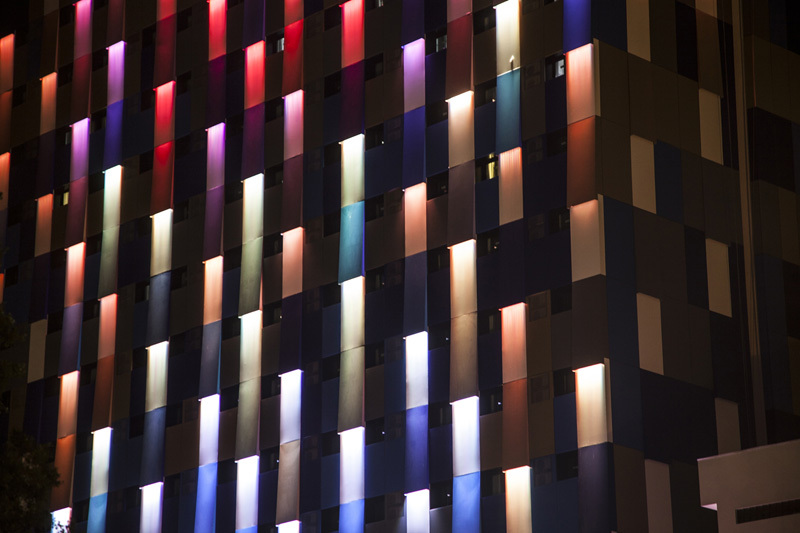 The new facade was designed by Guto Requena as a work of urban art and a 30-story intervention that is visible both day and night. 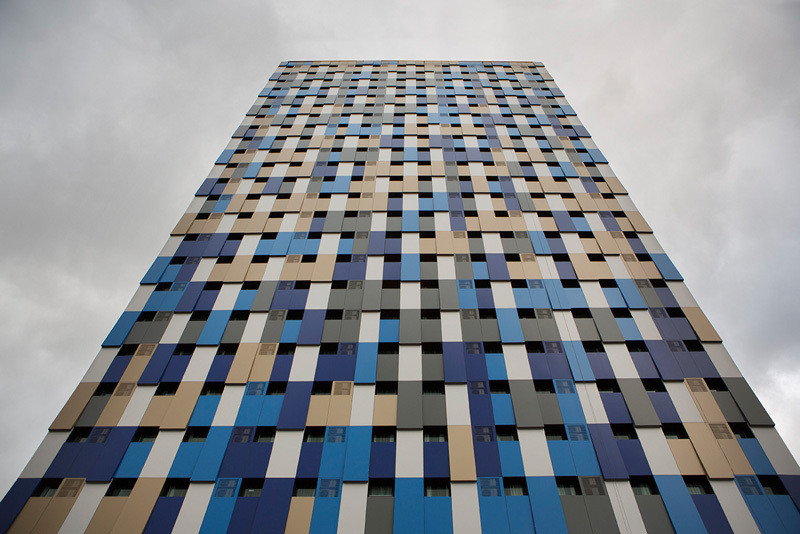 In the daytime, a coat of sheet metal creates a pixelated skin in blue, gray and gold. 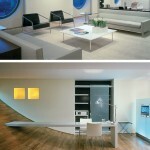 This urban camouflage was designed from the analysis of on-site ambient noise by using parametric software. 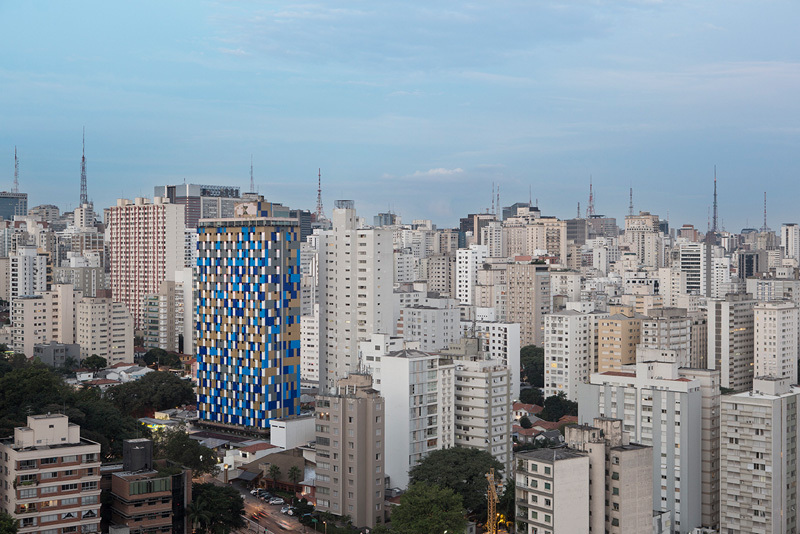 The result is a visual reflection of the soundscape of São Paulo´s iconic Avendina Rebouças. 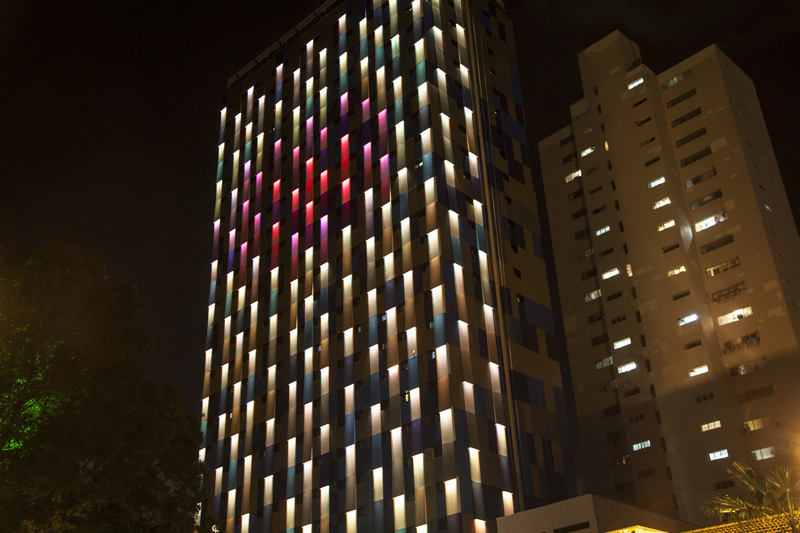 At night, the metal skin is illuminated by interactive light patterns. 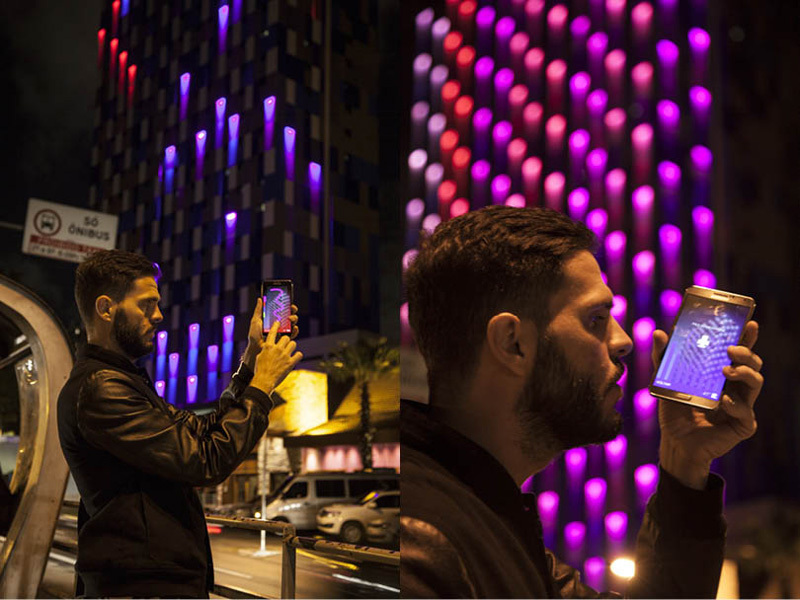 This “luminous creature” inhabits the hotel’s facade and displays its unique behavior by reacting in real time to different stimuli. 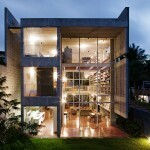 Sensors installed on the building collect sounds that affect the creature´s form and movement. Other sensors measure air quality and change the color accordingly. A mobile phone application allows anyone to directly interact with this luminous creature by voice or by finger taps.